Wingspan 20 to 26 mm. A weakly-coloured brown species with light patterning. Damp pastures, grassland and marshy areas. The single generation of moths are on the wing in late May and June. The foodplants are Yellow-rattle and Common Cow-wheat. It is locally distributed throughout most of Britain, but not especially common. In the Butterfly Conservation's Microlepidoptera Report 2011 this species was classified as local. Rare in Leicestershire and Rutland. 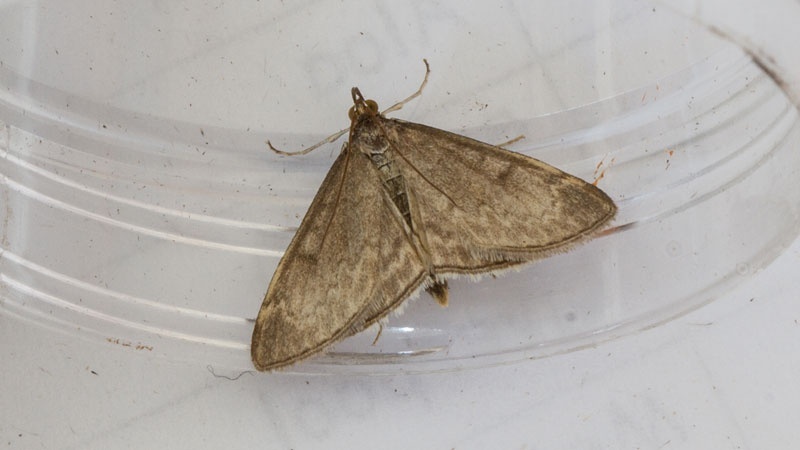 The Newton Harcourt record of 18th May 2014 was the first confirmed record for VC55.